to imagine a Moonbeam lighting up your heart. call upon your own still small voice for guidance. The following is a list of some of the messages that were received at a monthly womens spirituality group using this very technique. They were taped and transcribed from 1991-95. 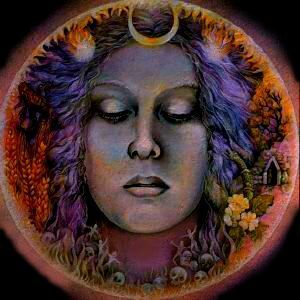 We came to call this wise, intuitive place The Goddess Within. You might call it the Christ, the I AM, or you might even just call it Spirit. Whatever you call it, we ALL can choose to turn to and listen to that "Still Small Voice" within. We were not left here alone, unable to contact HOME. Inspired guidance is available to all of us, right now. Message On Deities : Our human creations that help us explore pathways into the ONE Spirit. All deities are here to serve Spirit. Spirit was not meant to serve deities. Message on Decision Making : Advice on keeping the best of lifes bounties in our own shopping basket. Message on Acceptance : Many who have hit the fast track of Spiritual progression annoy and reap the disapproval of loved ones. Here is personal advice on how to reach personal acceptance of your own path. Message on Defining Magic : Magic is not sorcery or manipulation, but a positive, miraculous change of consciousness. Message On Positive Living: We have all heard of positive thinking. This advice takes it a step further, for those who are ready to hear it. Message on The Divine Masculine: Looking for love in all the wrong places? Uniting with the ideals of your inner divine couterpart can help you manifest a healthy physical partnership. Message on The Miracle of Flight: Advice on how to let your Spirit soar high above stormy weather. Message on Depression: This is the guidance that helped Arianna when she was depressed. Maybe it can serve you, too. Message on Why We Are Here: The purpose of our physical existence. Message on the Dangers of Daydreaming: The modem has given us a doorway to a grand new adventure. Like Rip Van Winkle returning to real time, we discover we were away a lot longer than we thought. Message on Living A Magical Life: Sometimes the daily grind of work can get us down. We recall that the old "Wise Women" of Europe were magical, but also that they worked hard.....growing herbs and drying them, delivering babies, healing, planting, sewing. Like them, we learn to balance ourselves to live a magical life. Message on Embracing Beauty: We have been told that physical beauty is a selfish display of vanity, certainly not spiritual. Inner as well as outer radiance is encouraged by this message. Message on Re-Imagining the Father: Many of us have been raised with a jealous Father God of judgement and damnation. This is a message from the inner feminine on how we can re-imagine this masculine aspect of divinity. What we find acceptable in our Diety, we find acceptable in our society. As the harshness is removed from our Father Diety, we and our menfolk can be freed. Message on The Glory of Love: Since many of your magical wishes involve drawing love into your life, read for a moment about human love between a man and a woman in a relationship. Message on Achieving Salvation: Whatever your state of consciousness is, whether in or out of body, alseep or awake, know for yourself how you can achieve salvation. Message on St. Patrick: How one individual could take hold of opportunity and create profound change throughout the world. Message on Self Esteem: We are reminded to stand on a pedestal, and bask in the Silvery Ray of Divine Energy. Claim your worthiness! Here are 2 messages combined on this subject. Message on Feeling Stalled: Here is the explanation of why we who try to be guided by our spiritual ideals still seem to have a rough time. After an initial high or jump start, may of us feel plateaued, or even worse, stalled in the air. 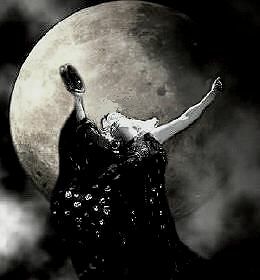 There is a great deal of talk these days about Goddess Energy, women running with wolves and the feminine aspect of Divinity. We set out in search of what, or who is behind it. In Search Of The Feminine Divine: written by Kathy Briar, reporting in Pittsburgh, for Point of Light Magazine. Viewed here with permission. We All Can Do This: In a group discussion facilitated by Arianna (Susanrose), 15 men and women gathered and were inspired to spontaneously share what they heard from within. Here is personal encouragement and guidance on how you can as well! One Man's View on the Spirit of Gaia and Shekina: written by Alan Scott Bachman, lawyer, composer, and producer of music to honor the Feminine Divine. Sound file on this page shared with his permission.